Iran’s Foreign Minister Javad Zarif arrived in Moscow today to discuss the upcoming Geneva II conference on Syria with his Russian counterpart Sergei Lavrov. They were also expected to discuss the implementation of the Geneva accord on Iran’s nuclear program. Zarif flew to Moscow together with Syrian Foreign Minister Walid al-Muallem. Trilateral talks among foreign ministers of Syria, Iran and Russia on Geneva II are scheduled for Thursday. 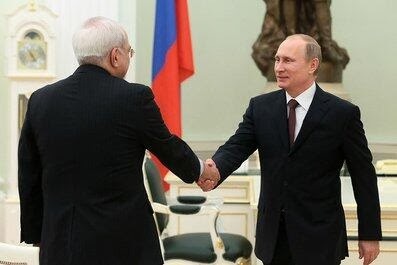 During his visit to Moscow, the Iranian foreign minister also met with Russian president Vladimir Putin.